M&P can make custom PCTFE Machined Parts to your specifications or drawings. We have a plastic machine shop; PCTFE is one of the plastics we can use to make parts. Polychlorotrifluoroethylene is a thermoplastic chlorofluoropolymer that is commonly abbreviated PCTFE. PCTFE was first sold as the brand name KEL-F® by 3M, but it is now sold under the brand name Neoflon®. This PCTFE resin has the same chemical structure and properties as the original Kel-F® brand material. PCTFE Machined Parts are made in a completely controlled environment. 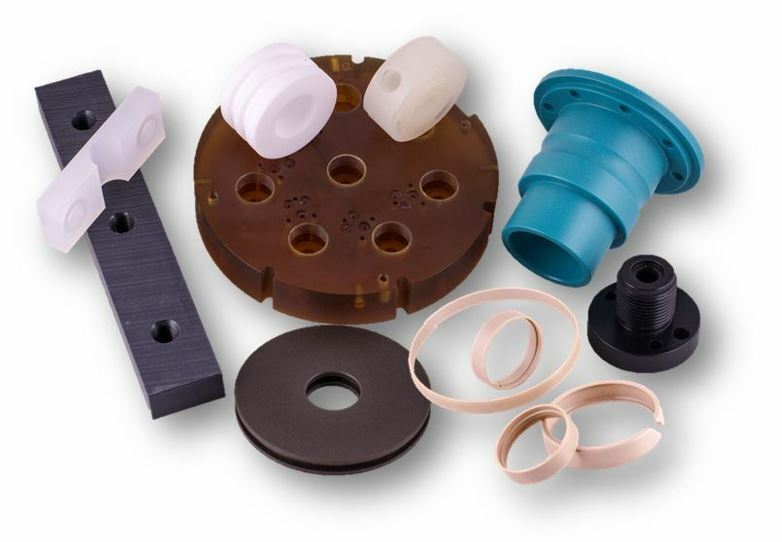 PCTFE O-rings, PCTFE Seats, PCTFE Bushings, PCTFE Bearings, PCTFE Guide Blocks, PCTFE Wear Pads, PCTFE Washers. Kel-F® is a registered trademark of 3M Company. Neoflon® is a registered trademark of Daikin Industries Ltd.